The so-called Dutch ‘abortion ship’ has arrived off the coast of Mexico, having been expelled from Guatemala in late February. 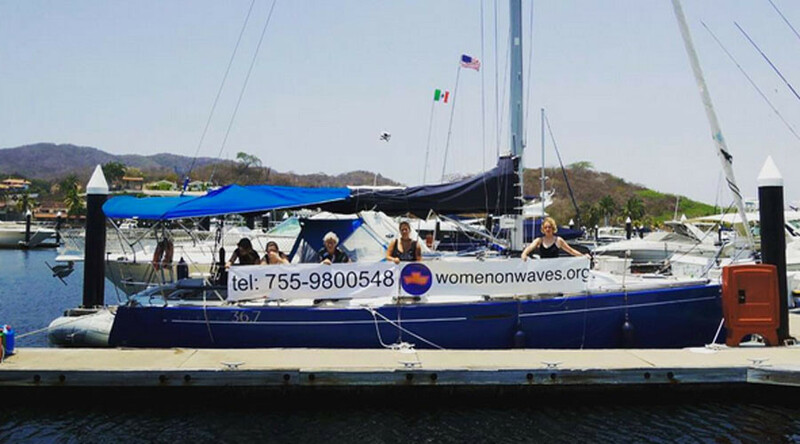 The Women On Waves crew will now operate a women’s health clinic in international waters. Although abortion has been legal in Mexico City for the past decade, widespread poverty throughout the country, and the vast distances involved in reaching the capital from rural areas, preclude many women from seeking safe abortions. #HagamosOlas por la salud y por la vida de las mujeres! Aborto seguro es un derecho humano de todas las mujeres! “It’s absurd that according to… where women live in Mexico determines… if they can access a legal and safe abortion,” said Regina Tames, director of the Information Group on Reproductive Choice (GIRE), a Mexican women’s rights advocacy group, as cited by DW. The Women On Waves crew arrived off the coast of the Mexican state of Guerrero last week and on Thursday carried out two successful and safe medical abortions, reported DW. The group carries out safe medical terminations in international waters for women up to 10 weeks pregnant. In addition, they provide advice on sexual and reproductive health as well as information on contraceptives. The female crew does not perform surgical abortions. The ship has previously visited countries such as Ireland, Morocco, Poland, Portugal, Spain and, more recently, Mexico’s southern neighbor Guatemala. The boat was seized by authorities while off the coast of Guatemala in a move that drew widespread international media attention to both the boat and the underlying cause its crew is fighting for.